Tree walk is conducted every month by the members of Hasiru Usiru. This aims to introduce the interested to the world of trees and the intertwining ecological relationships that surround trees. Unlike in its heydays, Kolar is now a quiet town. But the goldfields, old forts and temples take you back to the past and make a great weekend trip option! Nothing rejuvenates a work-week fatigue like a short getaway. Less than two hours drive and a short trek later, that is exactly what you get at Shivagange. served as the base for powerful empires of Gangas, Vijayanagara viceroys, Mysore kings and as the capital city of Hyder and Tipu Sultan. A year on, number of volunteers trying to bring back the sparrows has only increased. This year they are roping in more colleges and corporates to do the same – make it safer for these birds to come back. There are playschool consultants who can help you set up the right infrastructure. Here’s a lowdown what needs to be done before you start your play school. From being called ‘savina durga’ or fort of death, the rock structure has transformed into a trekker’s delight. 160 kilometres from Bengaluru, Bluff or Shivanasamudra is an ideal getaway. Roaring water falls, lush greenery and serenity is what you sign up for. 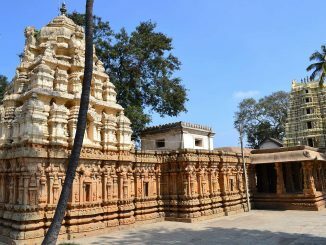 You’ve heard of Nandi hills but did you know that there are centuries old temples at the foot of it? Or that Sir M Vishveshvaraya’s birthplace is just 7 km away from Chikballapura?